The Food Alphabet and More: Get FREE McDonald's Longgadesal on March 19 for National Breakfast Day! “National Breakfast Day is our biggest breakfast activation and now on its sixth year, together with thousands of our crew and managers, we're excited to once again welcome customers from all over the country in our stores and have them experience a memorable morning,” says Kenneth S. Yang, McDonald's Philippines President & Chief Executive Officer. 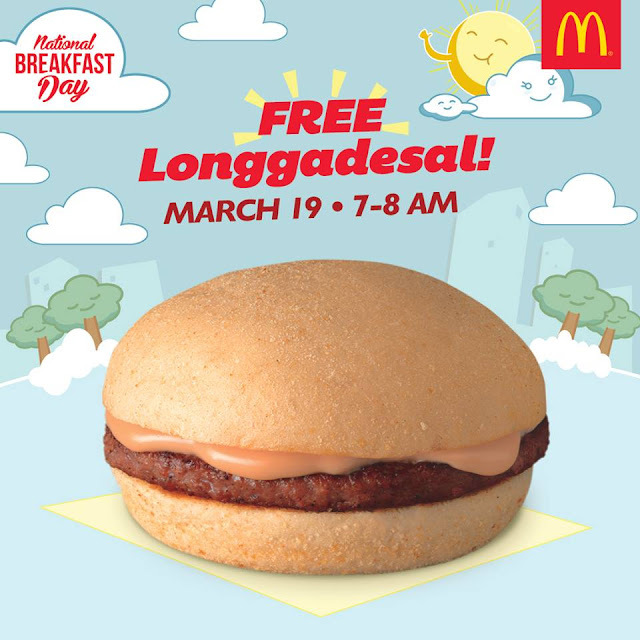 “Breakfast signals the start of a new day, and we’re happy to be with our customers in starting their week right, with a free, delicious Longgadesal that they can keep coming back for only in McDonald’s,” Yang concluded.